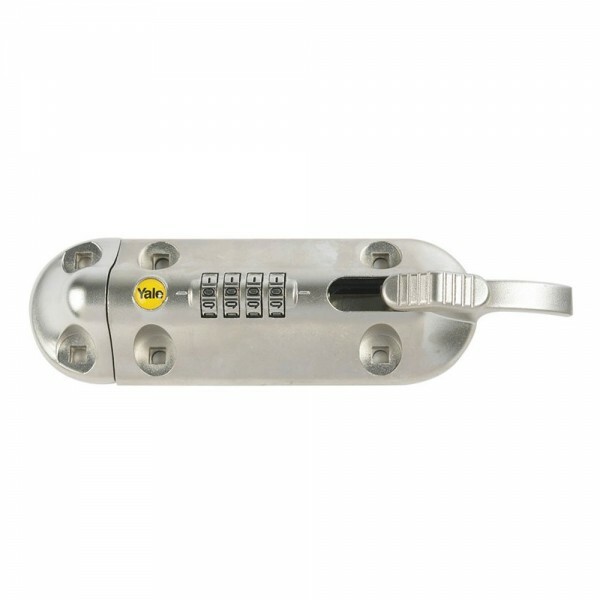 The Yale combination bolt is a weatherproof high security solution using a combination lock, removing the need for a key and suitable for everyday use. It has a hardened steel body with satin nickel finish and incorporates a hook to assist door opening. The Yale combination bolt has an easy to reset 4 wheel combination and can be used on gates, sheds, garages and outdoor storage.